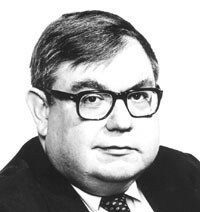 Dr. Samuel T. Francis (1947-2005) was a leading paleoconservative columnist and intellectual theorist, serving as an adviser to the presidential campaigns of Patrick Buchanan and as an editorial writer, columnist, and editor at The Washington Times. He received the Distinguished Writing Award for Editorial Writing of the American Society of Newspaper Editors (ASNE) in both 1989 and 1990, while being a finalist for the National Journalism Award (Walker Stone Prize) for Editorial Writing of the Scripps Howard Foundation those same years. His undergraduate education was at Johns Hopkins and he later earned his Ph.D. in modern history at the University of North Carolina at Chapel Hill.